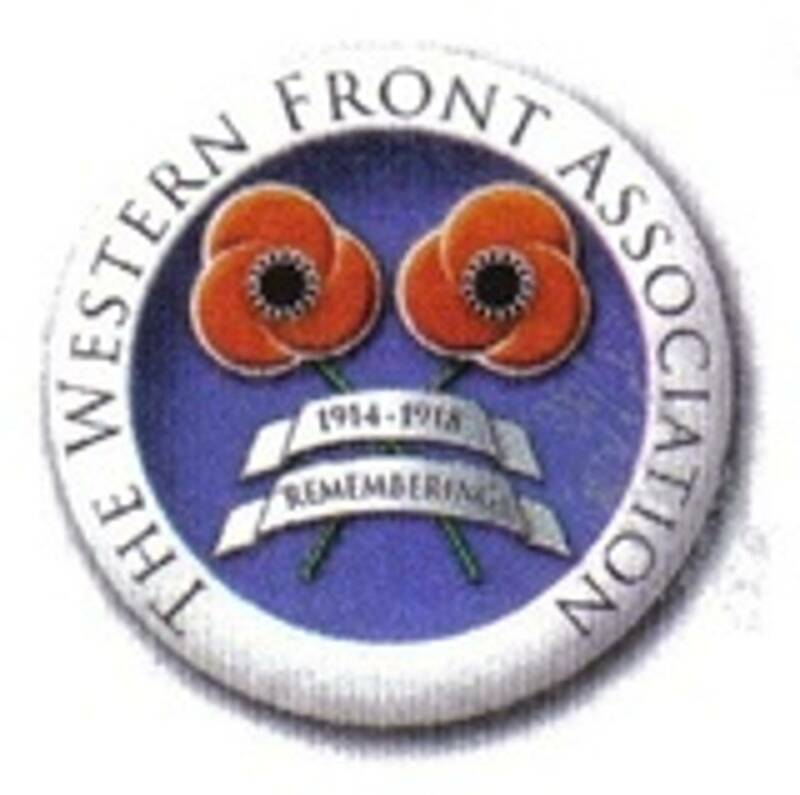 Dublin Western Front Association - 18 October, 1915/2015. Branch Meeting, 18 October, 2015. Killed in Action, 18 October, 1915. 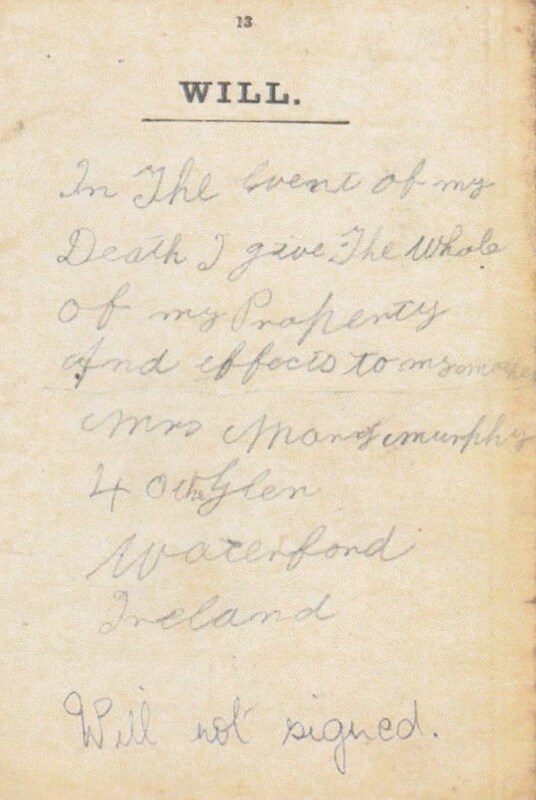 James was born in Chereadel, Co. Waterford, C1889, to Patrick & Mary Murphy. What records survive state that he was still living in Waterford, but that he enlisted at Merthyr Tydfil, Glamorganshire. 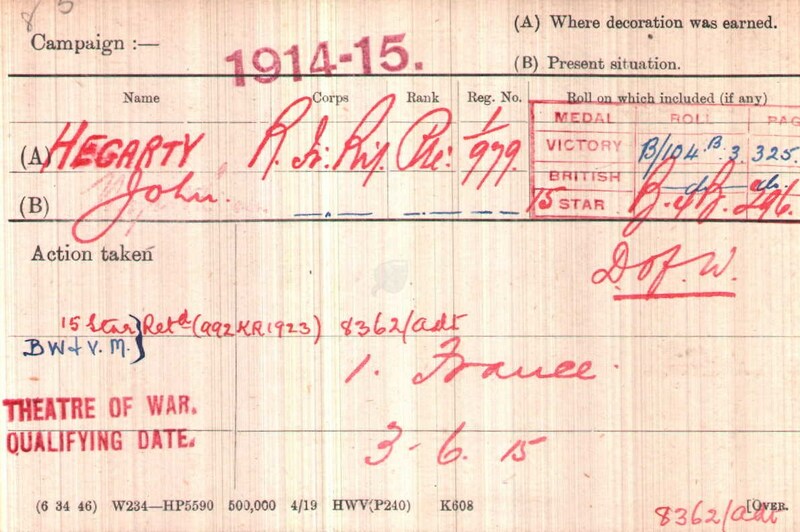 According to his Medal Index Card (MIC), he landed in France on 15 January, 1915, this was several months before the 2 Battalion, Irish Guards was formed, and consequently, it would seem that he must have been serving with the 1 Battalion at this time. 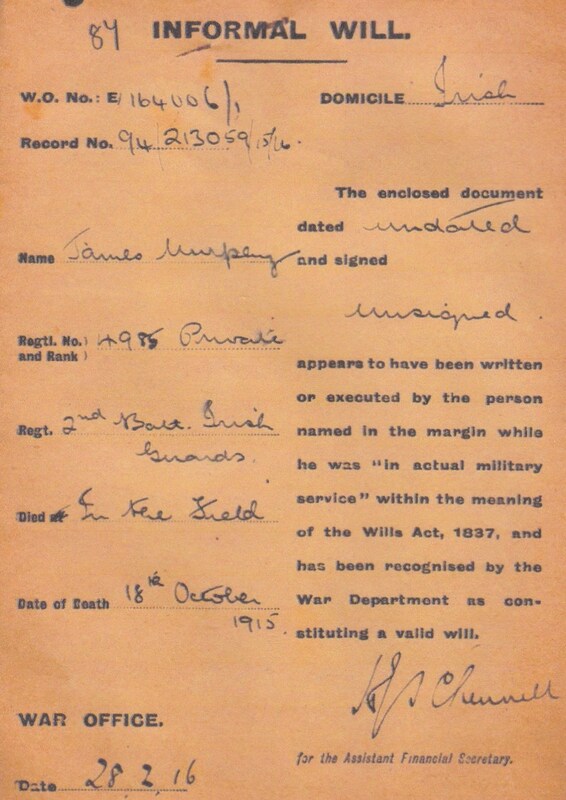 The CWGC ‘Debt of Honour’ records him as serving with the 2 Battalion when he was killed and this is backed up by the cover document for his Will, which was drawn up 28 February, 1916, so at some stage he must have been transferred to the 2 Battalion (the battalion was formed on 18 July, 1915, and landed at Le Havre on 17 August, 1915). 18 Oct. 9 AM. OC No. 2 Coy was ordered to proceed to WEST FACE HOHENZOLLERN REDOUBT to arrange for taking it over from 1 Coldm. Guards. Remaining Co. Commanders met the CO at HQ 1 Coldm. Guards where he issued the following orders to them verbally and instructed them to reconnoitre the trenches concerned: - No.1 Co. to take over the support line with its left on LEFT BOYAU: No. 3 Coy to take over the old firing line and support line from RIGHT BOYAU to the forward sap (CORK STREET): No.4 Coy to take over the old firing line from forward sap (CORK STREET) IE LEFT BOYAU. 1PM. The Brigadier General (Name unreadable) called at Batt. HQ and informed the CO that the battalion might have to make a bombing attack so as to try to advance our positions further into HOHENZOLLERN. 6PM. Casualty return for proceeding 24 hours: - 2 men killed, 3 wounded. 7.30 PM. Relief of 1 Coldm. Gds. Which commenced at 5.30PM was completed. As the battalion marched up the communication trenches they were very heavily shelled, but we luckily escaped without casualty. No. 7475 Pte. Horton made a food reconnaissance of an old trench running up the centre of HOHENZOLLERN. 19 Oct. 10.00AM. Brig. Gen. (Name unreadable) visited the batt. and HOHENZOLLERN REDOUBT. He issued instructions that an attempt should be made to dig a trench joining GUILDFORD STREET to WEST FACE. A matter of some 60 (?) of trench over ground fully exposed to hostile fire at a range of 60 (?). 6PM. Casualty return for proceeding 24 hours: 5 killed and 13 wounded. Although the War Diary states that in the 48 hours from 6PM on 17/10 to 6PM on 19/10 the battalion suffered 7 fatalities, I have only been able to find burial records for three men, James, 7985 Guardsman J McPartland and 7422 Guardsman John Callaghan, who are all recorded as having died on 18 October 1915, and are all buried in Vermelles British Cemetery in graves IH 9, IH 8 and IH 10, respectively.